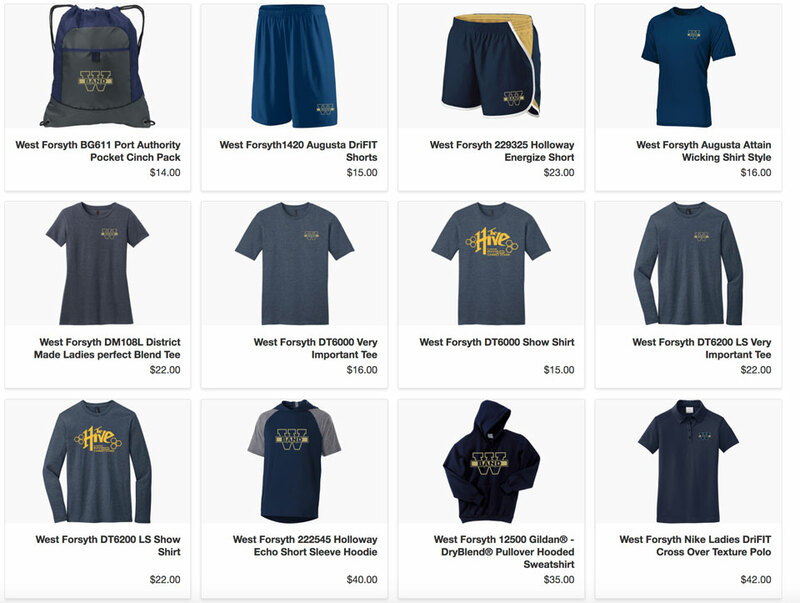 This year we’ve enhanced our store to include some amazing new spirit wear items including the standard show shirts, golf shirts, shorts, hats, sweatshirts, hoodies, long sleeve shirts and more. Support the band by wearing your spirit wear around town and at all the football games this year. To shop online, please visit www.gear4us.com/wfband. All orders are shipped to the school, neatly packaged in individually labeled bags so we can distribute quickly and efficiently to your student. © 2019, West Forsyth Band Boosters, Inc. A non-profit organization.